14.04.2016. Liverpool, England. 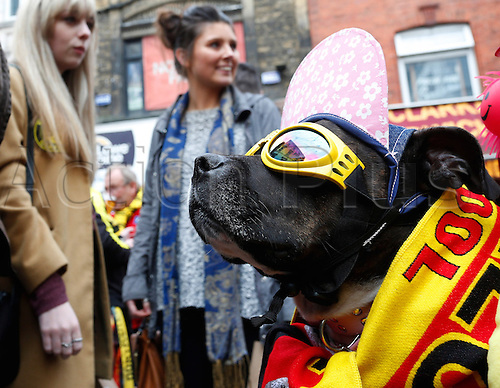 Liverpool supporter Princess Cleopatra Superchill soaks-up the atmosphere with Liverpool and Borussia Dortmund fans at the Richmond Pub in Liverpool city centre while they wait for tonight's UEFA Europa League quarter finals soccer match between Liverpool FC and Borussia Dortmund at the Anfield stadium in Liverpool, north west Britain 14 April 2016.